Since he was small child in México, Daniel remembers helping his Dad fix cars in his shop. He saw first hand the love his father had for antiques and fixing them up. He passed that down to Daniel. 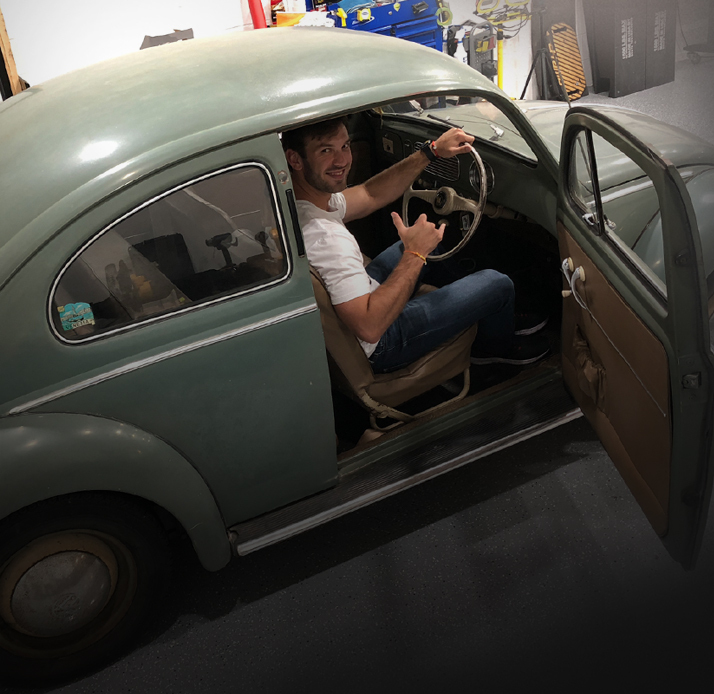 Since Daniel’s first car was a Beetle – he has a special bond with VW Bugs and is always on the hunt for a classic to restore. For Daniel, these cars are a reminder of where he grew up, a reminder of where he came from. He enjoys restoring them side-by-side with his Dad – the perfect combo: family time and car restoration. To this day, Daniel’s love for cars and car restoration can be traced back to that shop, which he now shares with his papi. How many restorations has Daniel undertaken with his Dad? How many projects is he currently working on? Which one is his favorite in his classic car collection?